The Buena Vista area is a hidden gem among Colorado rock climbers. 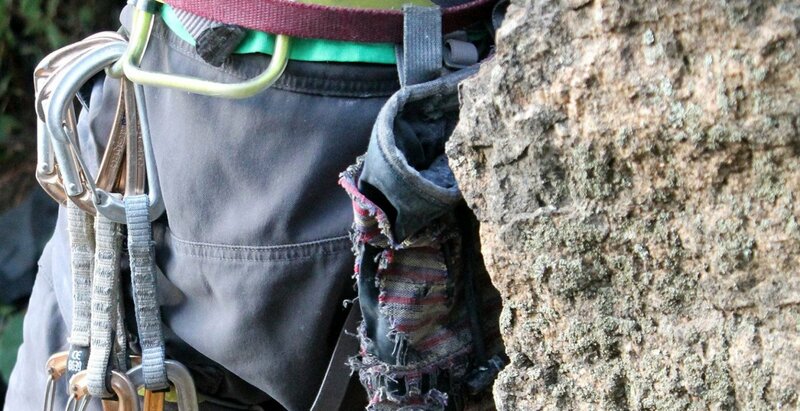 There are many different established rock climbing areas that range from 40 to 500 feet. Much of the climbing is located in the Four Mile Recreation Area. Bouldering, top roping, sport climbing, and trad climbing abound! Bob’s Rock, Turtle Rock, and Transmitter Tower are some of the more popular crags in this area. Nearly every route in the Buena Vista area has an amazing view of the Sawatch Range and its crown jewel Mount Princeton. Driving west up Cottonwood Pass one will find Holy Water Wall which is a fantastic sport slab climbing area; it’s above 10,000 feet so plan for different weather conditions that what you see in town. Davis Face is the large chunk of rock visible from the northern part of town, where you will find several multi-pitch sport and trad routes that will get you 500+ feet above the ground. In 2009 the town of BV built and installed three artificial boulders. These boulders were designed to look and feel like real rock; with the addition of movable climbing holds there are endless possibilities for natural and man-made routes. Located just steps from the Buena Vista River Park trail system it’s never been easier to get your climbing fix in BV.